Ruth Sommers is currently the COO at Blue Nile. Ruth has more than 25 years of experience in global production, sourcing, product development, and operations for some of America’s largest retail brands. She most recently served as Chief Operating Officer for David Yurman, leading sourcing, production, and information technology, as well as the distribution and customer care centers. Prior to David Yurman, Ms. Sommers was Founder and Chief Executive Officer of NOI Solutions, a company formed to assist specialty retailers with production throughout Asia. 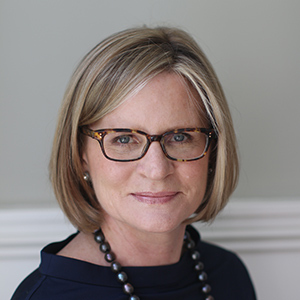 She also served as Chief Sourcing and Production Officer at American Eagle Outfitters, and as Managing Director of Ann Taylor’s overseas offices, which was preceded by more than 15 years at L Brands in several executive leadership roles. Ms. Sommers holds a Bachelor of Arts in Business Administration from Lake Forest College and a Master of Business Administration from the Massachusetts Institute of Technology. The MIT Leadership Center invites you to join us for a special private luncheon with Ruth Sommers, Chief Operating Officer of Blue Nile immediately following her iLead presentation on February 15th. The luncheon will be held from 1:15-2:15 p.m. and will provide students with an opportunity to converse with Ms. Sommers on a variety of topics in an informal setting. To be considered for this opportunity, please register and include a short bio (3-5 sentences). Students will be notified of their selection at least one business week in advance.